I'm back to follow up on a previous Favorite Dog Movie. We chatted about The Incredible Journey (1963) before. In 1993 Disney remade this movie as Homeward Bound: The Incredible Journey. 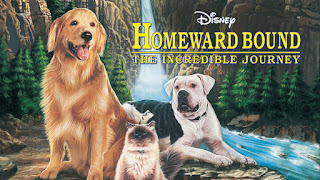 Like The Incredible Journey, Homeward Bound was based on the novel The Incredible Journey by Sheila Burnford. 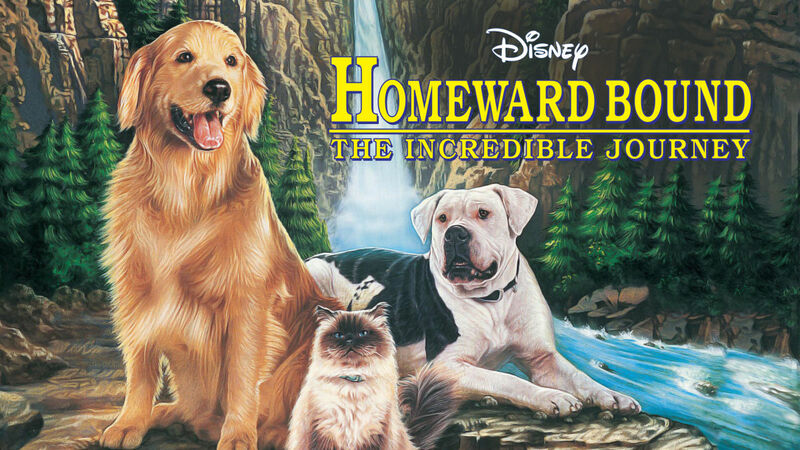 Homeward Bound features an American Bulldog (Michael J. Fox), a senior Golden Retriever (Don Ameche), and a Himalayan cat (Sally Fields). The pets belong to a family with a mother and children. 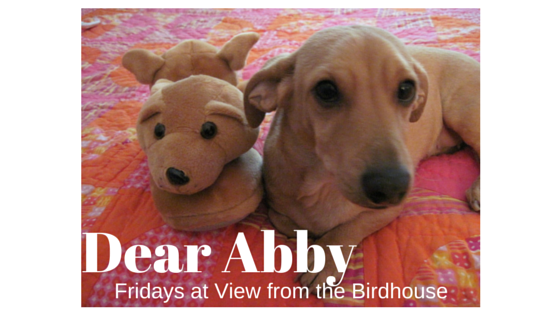 When their mother remarries and relocates to San Francisco, the pets end up staying with a friend on her ranch. They decide to go exploring - and find their family, now far away. The journey is long and dangerous, but they do safely make it home to be reunited with their family and the boy that loves them. This is one of classic movie actor Don Ameche's final films. Unlike The Incredible Journey, which relied on narration, the pets actually talk in this movie. The pet breeds were changed from The Incredible Journey (1963). In that movie they were a Labrador Retriever, Bull Terrier, and Siamese cat. Have you seen Homeward Bound? I would love to hear from you in the comments below. We must have watched this movie 10 times when the kids were younger. We just loved it! Every emotion known to man was brought up in this great film. Seriously one of myf avorite movies when I was younger. I need to show my son! I bet my daughter would love this. She loves dog movies. One of my favorite movies as a child. You just inspired me to hunt a copy and watch it with my kids. Now, I miss all the dogs I had growing up. I haven't seen this one! It came out at a time when I was working too many hours, now that I have free time I need to catch up! I believe that we did see Homeward Bound because our family has always loved dog movies. When I was a kid, I enjoyed watching the Benji and Lassie movies with my family. Thanks, friends! I really appreciate your comments.